Many of us are looking to alternative solutions for certain medications, such as painkillers. Naturally, you need to consult your doctor, but a lot of people are finding medical marijuana extremely effective in helping people cope with the symptoms of various illnesses. At Pacific West Bud, we are proud to be able to offer patients the opportunity to buy medical marijuana online. This is very convenient to those suffering from illnesses which leave them with limited mobility, social anxiety issues, the inability to leave the home often, or a busy lifestyle that doesn’t allow them to visit brick and mortar dispensaries. Something that will come as good news to those who are looking to buy medical marijuana online is that there is just as much, if not more, choice of products. When you buy medical marijuana online with Pacific West Bud, you can help relieve or treat your symptoms using a variety of products that we have for sale on our website. Nowadays, it is possible to manage your symptoms in various ways through different marijuana infused products. We sell dried medical marijuana flowers that can be consumed immediately through smoking. You can also use them to infuse oils or butters for creating food products. At Pacific West Bud we have a lot of different strains of cannabis available when you buy medical marijuana online. This ensures that you will get the level of THC or CBD that you need, or as recommended by your doctor or naturopath. With dried cannabis flowers you will be able to choose how much you consume at any given time, which is why it is one of the most popular forms of medical marijuana. Eating marijuana-infused products is becoming an increasingly popular way to consume medical marijuana. This is useful to those who don’t enjoy smoking or who can’t smoke for health reasons. At Pacific West Bud, we have so many delicious edibles, such as cookies, peanut butter cups, and chocolate. We also have smaller products with fewer calories, such as gummies and chewable vitamins. 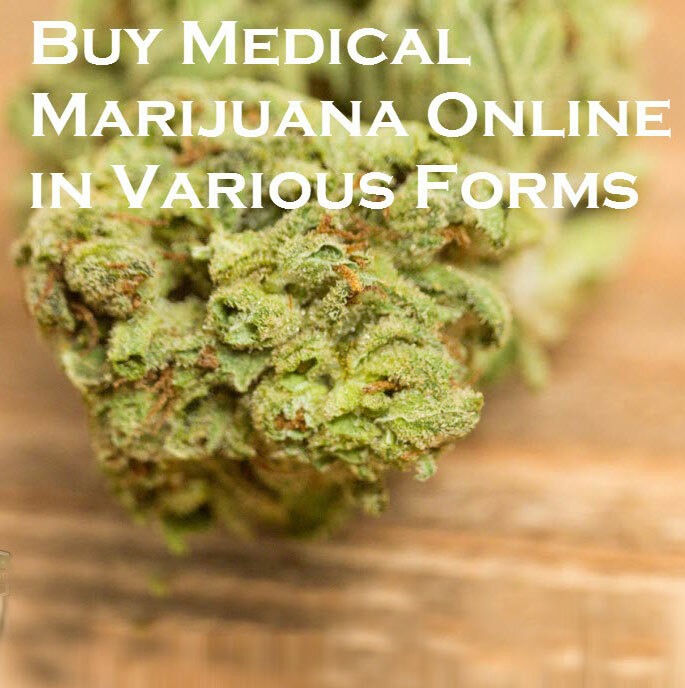 This is a fun and tasty way to buy medical marijuana online. Topical medical marijuana products are becoming less niche and more mainstream, thanks to recommendations from various medical professionals. At Pacific West Bud, we have some incredible bath bombs that will make for an extra relaxing experience. We also have a cream bar for rubbing on sore areas, which has proven very popular among those suffering from localized muscular pain. For more types of products containing medical marijuana, have a look at our website. You will be surprised to learn of all the different types of products that we have to assist you in managing your symptoms. Feel free to contact us for more information, or if you have any questions relating to our medical marijuana products or how to purchase them online. We will be happy to assist you and help you purchase the products that you need in order to manage your illness.